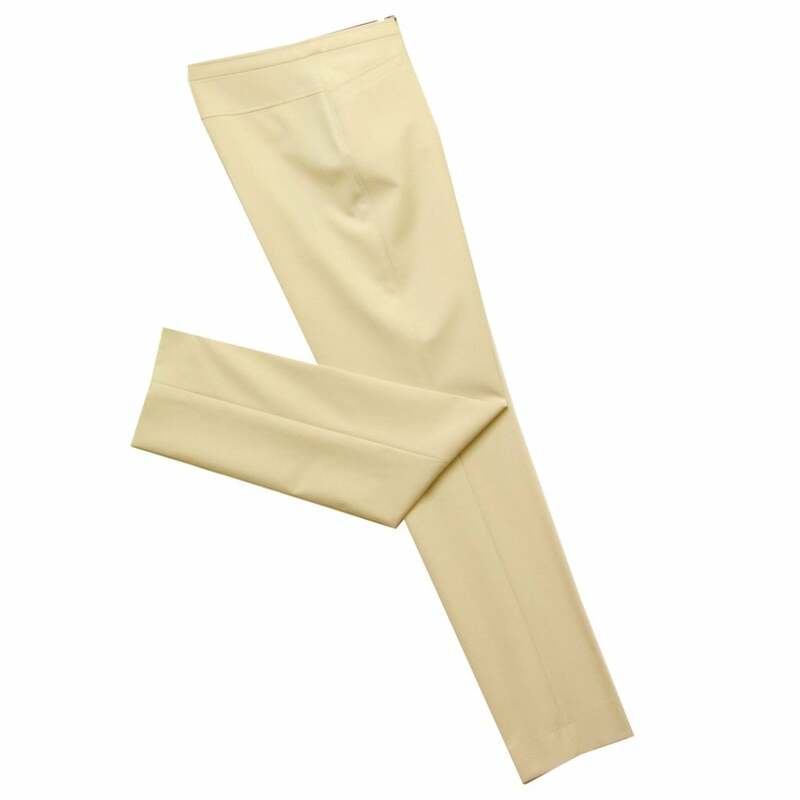 Classic Michele Depot trouser with slim leg, two pockets, front button and zip closure, and narrow waist band. In a viscose and polyester Ultra Tech fabric. Uttra Tech provides: moisture management, helping to keep skin dry. U V protection. Easy care and minimum iron. 48% viscose 48% polyester 4% elastane.